on canvas, sculpture, silkscreen, video and public installations. 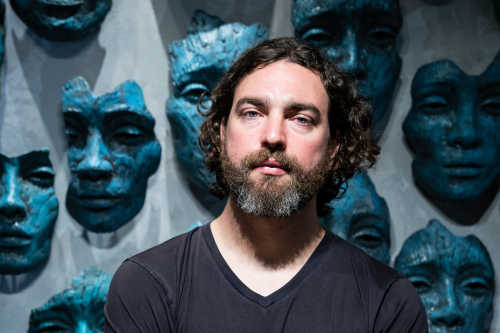 Smit’s work has been exhibited locally and internationally in prestigious galleries, art fairs and public spaces, including a solo exhibition at the Museum of Contemporary Art in North Miami and various public sculptures in the US including Union Square, New York City. Smit’s painting has also been featured on the cover of Christie’s catalogue in London 2009. Recent exhibitions include Obscura, a solo exhibition with the Museum of Contemporary Art in Miami and Divide, a solo exhibition with Art | Life in Los Angeles. 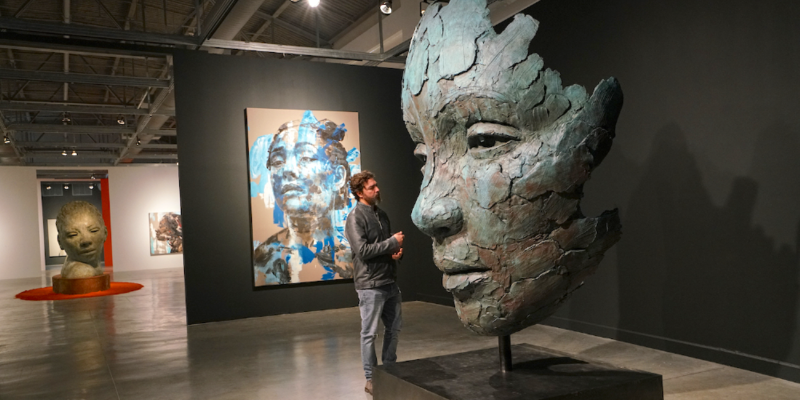 Over the past 10 years he has established a substantial international following with collectors ranging from the Standard Chartered Bank to Laurence Graff Art Collection at Delaire Graff Wine Estate. several charities on a regular basis with donations of artworks for auction, including ArtAngels, Wild Aid and the MAD Charity. Chris Erasmus grew up in the Karoo, where his mother taught him how to make preserves and jellies, biltong and tripe. After dabbling in chemical engineering and dentistry Erasmus found his way back to food, training at The Hurst Campus in the Cape and also gaining invaluable cooking experience overseas. He worked at Le Quartier Français’ The Tasting Room, under chef Margot Janse before becoming head chef at Pierneef à la Motte and is the current Chef-owner of Foliage restaurant in Franschhoek. has an estimated value of R180,000. 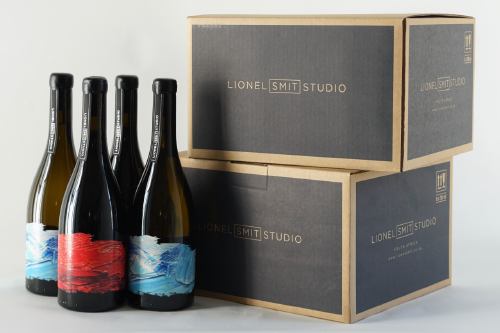 beautiful Lionel Smit Studio, paired with Lionel Smit wines. Grenache Blanc (“Weightless intensity, effortless appreciation”) and his Series #2 – 50% Syrah, 50% Cinsault Noir (“Elegant and easy with a true sense of place”). Lionel Smit Sculpture: FORGE. 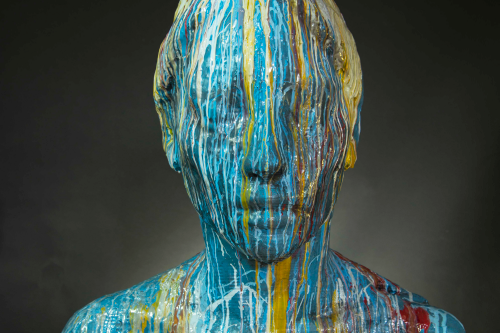 Resin and fibreglass – Hand finished with automotive paint – 2016. Edition 2 of 6 – dimensions: 97 x 80 x 62 cm. Dinner for 12 guests prepared by Chef Chris Erasmus of Foliage restaurant at Lionel Smit Studio, paired with Lionel Smit wines. A signed case of each of LS Wines.